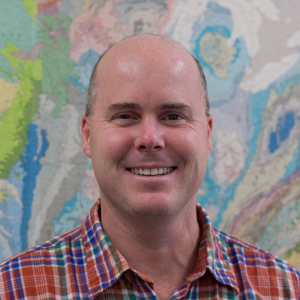 James Farquhar is a Professor in the Department of Geology and the Earth System Science Interdisciplinary Center (ESSIC) at the University of Maryland. Dr. Farquhar’s research has focused on sulfur isotope geochemistry in a variety of terrestrial and extraterrestrial systems. Work by Farquhar’s laboratory with sulfur spans the modern to the ancient and extends from the atmosphere to the oceans and solid Earth. Farquhar and coworkers are best known for the discovery and interpretation of mass independent sulfur isotope signatures in samples from the early Earth that trace the evolution of oxygen and chemistry in the early atmosphere. Similar signatures for Mars tell of different conditions and reflect different reactions. On both planets, they provide tracers that track sulfur from surface reservoirs into other planetary reservoirs. Farquhar and coworkers have also used sulfur isotopes to trace metabolic and biogeochemical transformations for inorganic and organic sulfur compounds using laboratory experiments and ab initio approaches. Work in the not-too-distant future will shift to studies of atmospheric gases with a focus on regional and continental methane in modern systems with the establishment of the University of Maryland high mass resolution mass spectrometry facility.